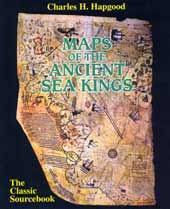 Rare and ancient maps reveal a new history of mankind in Charles Hapgoods classic - back in print after more than twenty years. In this fascinating and provocative book Charles Hapgood uses ancient maps as evidence for the existence, many thousands of years ago, of an advanced worldwide civilisation. The maps, long known to scholars, include the Piri Reis Map that shows Antarctica, the Hadji Ahmed map, the Oronteus Finaeus and other remarkable maps and charts. According to Hapgood, the mapmakers responsible for the earliest maps must in some ways have been more technically advanced than sixteenth-century Europe and the ancient civilisations of Greece, Egypt and Babylonia.Not only did they produce fantastically detailed maps, they also appear to have mapped every continent. The Americas were mapped thousands of years before Columbus and Antarctica was mapped when its coasts were free of ice. From the evidence it seems that these people must have lived when the ice age had not yet ended in the Northern Hemisphere and when Alaska was still connected to Siberia by the Pleistocene, ice age land bridge, that is, thousands of years before the heyday of the ancient Egyptians.